The TCenergy 2.3l Golden Family Alladin Carafe is made of lead free handblown glass with The Flower of Life burnt into the base in 24 carat gold. For energising and restructuring (cool) liquids for optimum life force and very high vibration. Can be used to balance and energise living spaces too. Comes with full instructions. WE ONLY SELL CARAFES TO EU COUNTRIES. The TCenergy 1.3l Golden Family Alladin Carafe is made of lead free handblown glass with The Flower of Life burnt into the base in 24 carat gold. For energising and restructuring (cool) liquids for optimum life force and very high vibration. Can be used to balance and energise living spaces too. 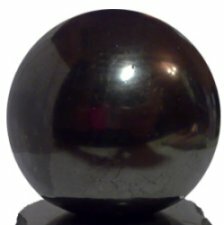 The gold element provides energetic support and biological enhancement. Comes with full instructions. WE ONLY SELL CARAFFES TO EU COUNTRIES. The TCenergy 1.3l White Alladin Caraffe is made of lead free handblown glass with The Flower of Life burnt into the base in White. For energising and restructuring (cool) liquids for optimum life force and very high vibration. Can be used to balance and energise living spaces too. Promotes openness and completeness in perception. Comes with full instructions. WE ONLY SELL CARAFFES TO EU COUNTRIES. A completely natural glass drinking bottle with a cork outerlayer for protection. This bottle can withstand temperatures up to 100°C (212°F) and is suitable for hot drinks. Ie. The cork wrapping is an excellent insulator, and whatever you put into it will stay hot for quite some time. It can also be used for your favourite soup.The bottle (not the screw lid) can be placed in the dish washer. 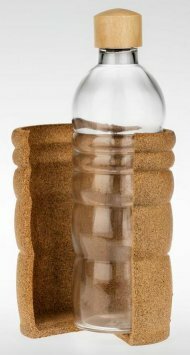 A completely natural glass drinking bottle with a cork outerlayer for protection. The screw top is made of cork and wood. It energises the water and is light and easy to carry about. Do not fill with liquids hotter than 70 degrees C. Each part of the bottle can be bought separately if needing to be replaced. The bottle can be placed in the dishwasher and is made from sturdy glass. Made of glass with a golden Flower of life burnt into the base This 22 cm wide energy plate can be used for liquids and food (not very hot though) for revitalising and energising. Good for travelling and away eating and drinking. Can also be used for cleansing and clearing crystals. A Sturdy lead free tumbler for vitalising liquids with The Gold Flower of Life burnt into the base. 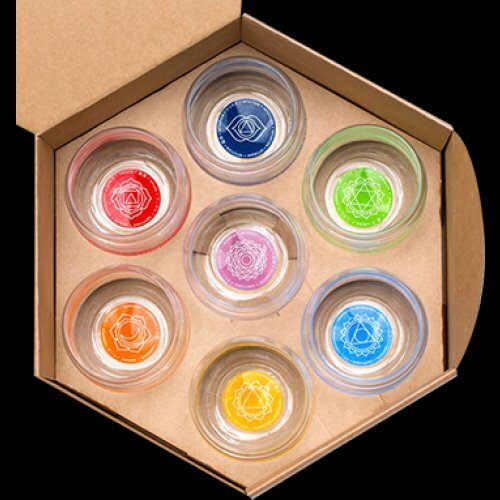 There are 7 Mythos chakra affirmation glasses: Red Health for root chakra, orange Harmony for sacral chakra, yellow Courage for solar plexus chakra, green Love for heart chakra, blue Creativity for throat chakra, indigo Intuition for brow chakra and purple Wisdom for crown chakra. Nature's Design (was TC Energy) porcelain Shinno Mug for all hot drinks. This mug holds 0.3L of liquid. 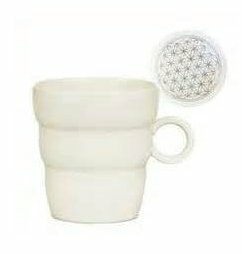 The shape is based on the Golden Ratio and Inside the mug is the silver Flower of Life. A great way to keep all your hot drinks energised. 500g of small pieces of Shungite crystal for water energising, mineralisation and cleaning.100g per litre of water. Half an hour and the water has antibacterial properties. 1-3days for optimum effect. Replace every 4- 6 months. The stones can be placed in the garden for soil mineralisation. To optimise these stones use a charging plate under the water vessel or use in a TCenergy Caraffe. Comes with Quantohm Orgone piece. 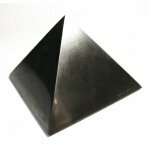 1 kg of small pieces of Shungite crystal for water energising, mineralisation and cleaning. 100g per litre of water. Half an hour and the water has antibacterial properties. 1-3days for optimum effect. Replace every 4-6 months. The stones can be placed in the garden for soil mineralisation. To optimise these stones use a charging plate under the water vessel or use in a TCenergy Caraffe. Comes with Quantohm Orgone piece. This new shaped EM pocket "flower" changes water by breaking down the water clusters, thus reducing oxidation. Can be used in cooking, boiling and frying to protect from oxidation and rancidity. Changes the memory of water. 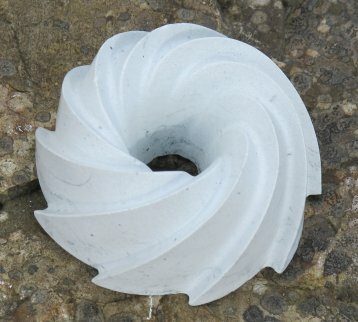 It can also be carried in a pocket and can be used and reused indefinitely. It is smaller than the bath ring. 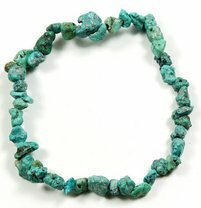 It weighs around 28grams and is 3.5cms in diameter. 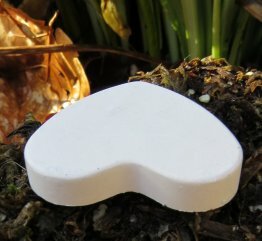 Suggested Use: Simply place in a glass or container of water, allow at least 30 minutes for the ringstone to take effect. Ingredients: Natural clay ceramics and EM. 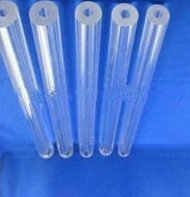 One High Quality Fused Quartz Tube Wand. Each wand is 7,5cm in length, 4mm in external diameter and the centre hollow tube is 2mm. Thes highly energetic Fused Quartz Tube Wands can be used for amplifying crystals by placing beside them or clearing the energy field by holding between the index fingers of each hand. They can be used for energising water..place next to the glass . 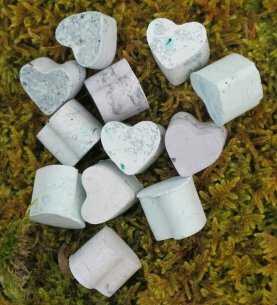 They come with a clearing and amplifying orgone stand. Absolutely Clear High Quality fused Quartz Wand. 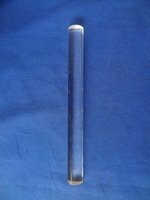 This rod is 1cm in diameter and 10cms in length. They can be used exactly as the Quartz tube wands above. Thes highly energetic Wands can be used for amplifying crystals by placing beside them or clearing the energy field by holding between the index fingers of each hand. They can be used for energising water..place next to the glass . 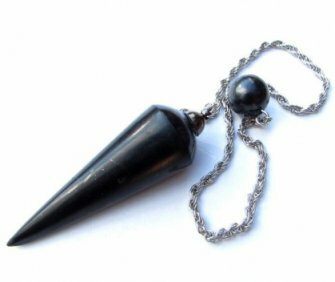 They come with a clearing and amplifying orgone stand. EM ceramics possess an extraordinary capacity for removing information of any kind from water to return it to its original state of purity. 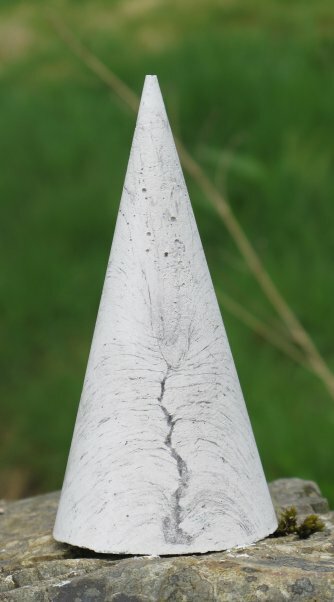 EM ceramics also have the ability to prevent oxidation and direct matter in the direction of regeneration. They act as a medium transferring information from the EM, which has been fired into the clay, to the water energising and restructuring it. They can be placed in fish or water tanks and ponds to structure water and reduce dirt and slime build-up. 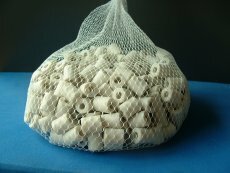 A handful of these pipes in the washing will structure the water and increase the cleansing power of soaps. As they are heat tolerant they can control oxidation and free radical production when cooking and frying. When storing oils place a few in the bottle to prevent rancidity. Place a few in the fridge to extend the freshness of produce or place in a vase of flowers to keep fresh. There are endless ways to use them. These pipes have a hole in the centre, can be used and reused and should never need to be replaced.